Invitations and announcements for weddings, baby showers, birthday parties. 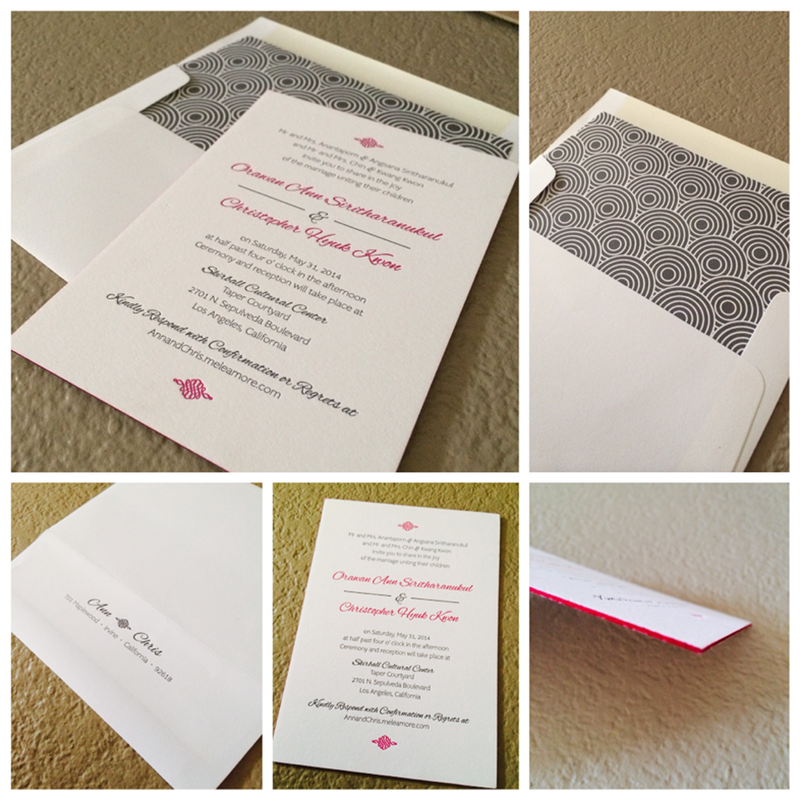 One of my favorite things to design is definitely invitations. I guess it's the party planner in me. It's the first taste of the party for all your guests. It sets the tone. 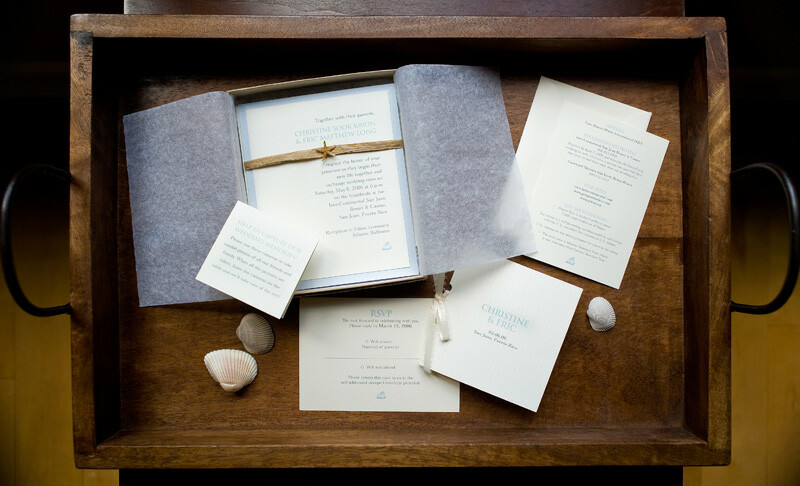 The wedding invitation establishes the feel for your big day. Elegant, fun, quirky, non-traditional. There are so many options. 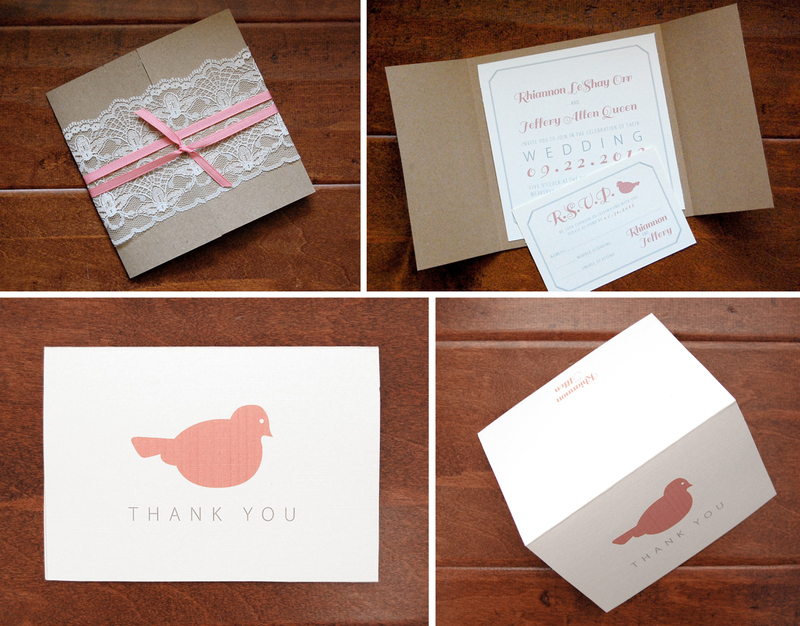 I've designed dozens and can help make all wedding stationery reflect your personal style. I also specialize in bridal shower, baby shower and birthday party invitations, and save-the-date cards. 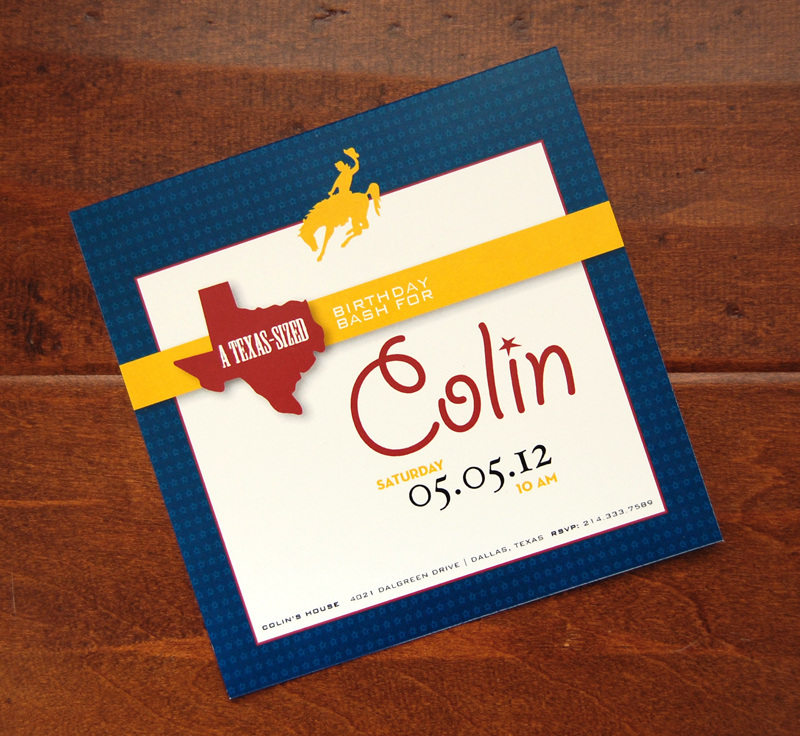 A cowboy-themed party invitation for Colin's fifth birthday bash. 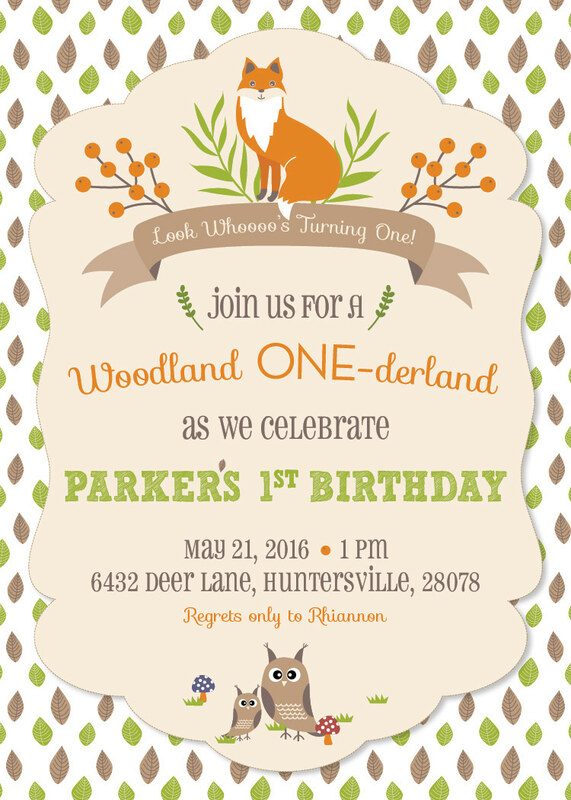 Woodland-themed party for a very special 1-year-old. 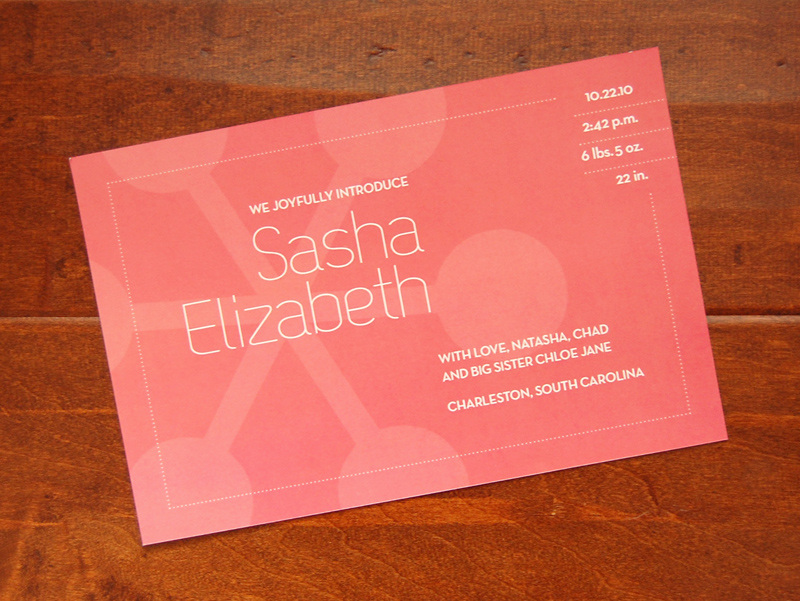 Modern, simple and classy with edge printing and letterpress. 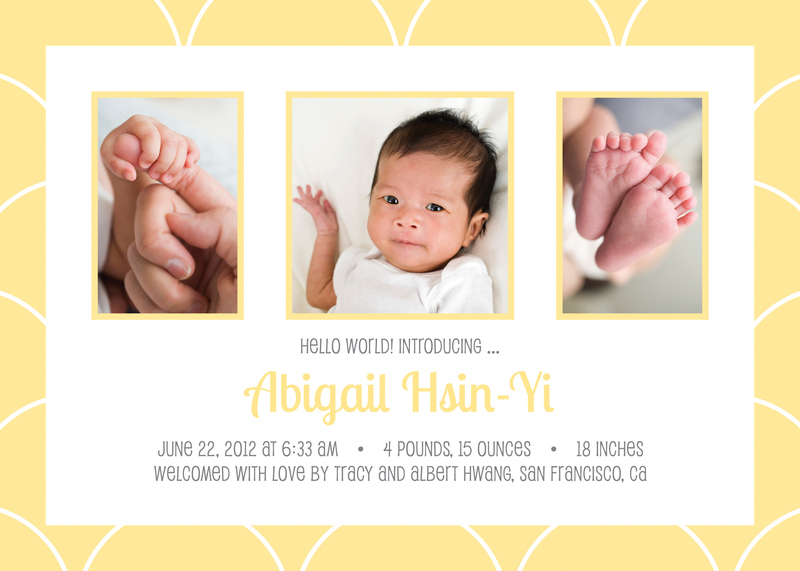 Sweet and playful birth announcement for a baby girl. 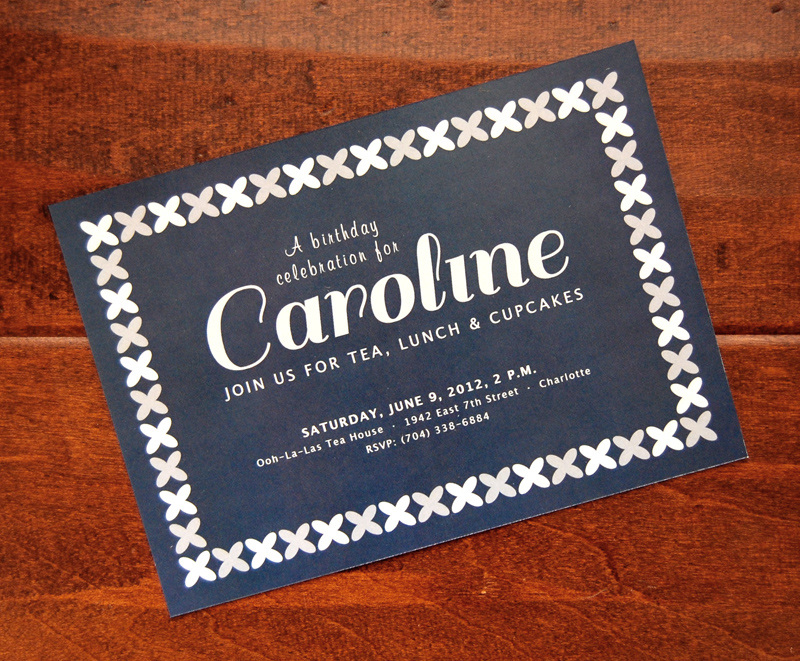 Caroline's tea party invitations: fun and modern. Favorite invitation of all time: my wedding invitation and stationery. 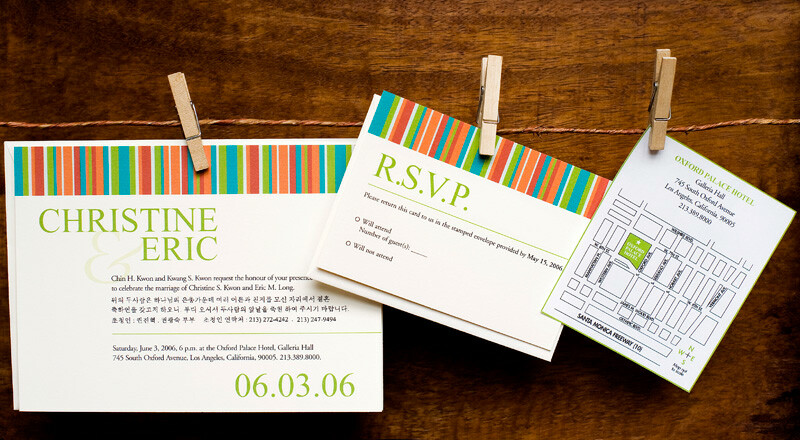 Another fun and colorful party invitation. vintage-themed wedding. Matching thank-you cards completed the stationery. A sweet baby announcement for the sweetest baby. 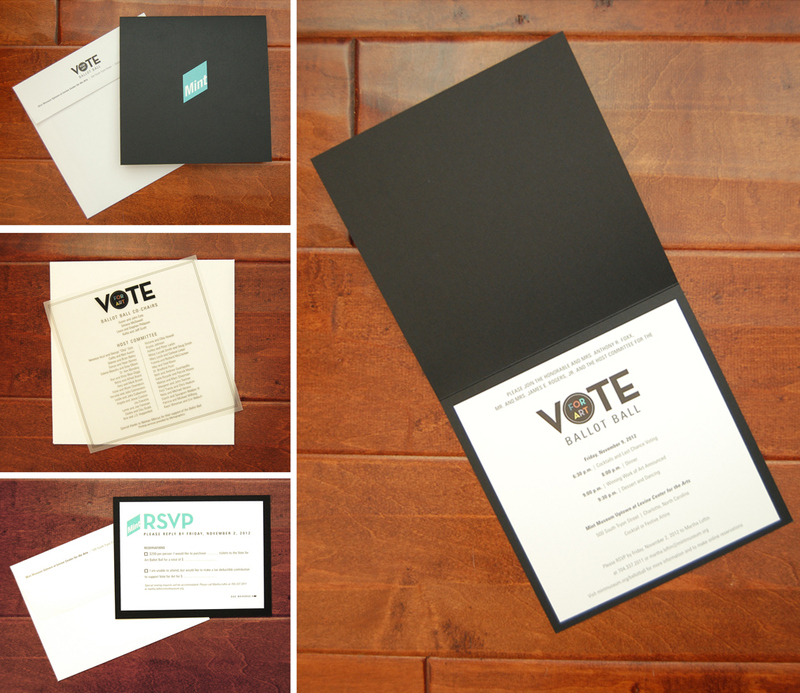 Vote for Art Ballot Ball invitation with double-sided RSVP card, vellum insert and various envelopes. 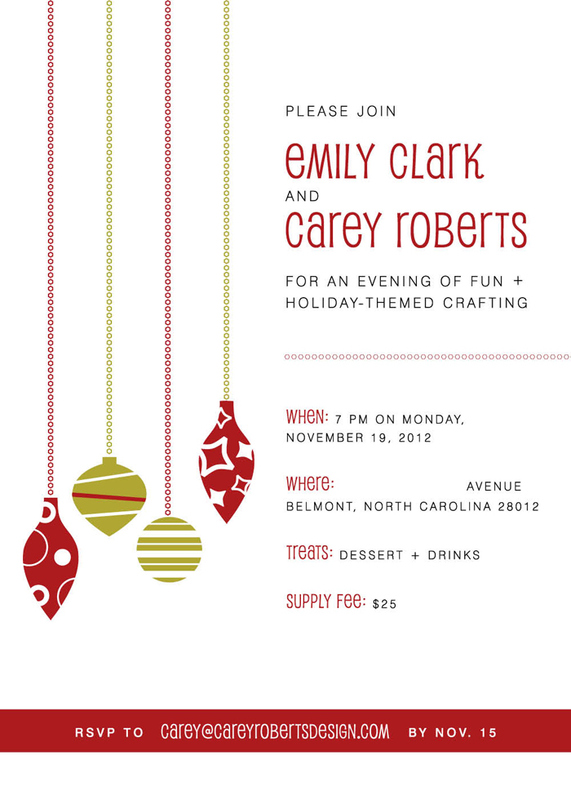 Invitation to a holiday crafting party.